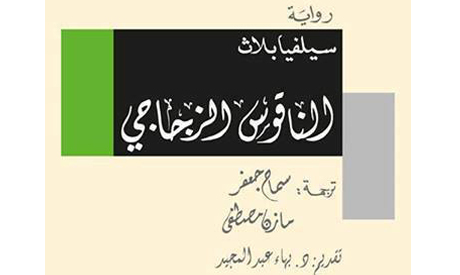 The first Arabic rendition of Sylvia Plath’s only novel The Bell Jar is finally available. The work of Cairo-based Sudanese translators Samah Jaafar and Mazin Mustafa, the novel was released by the General Egyptian Book Organisation. Plath's The Bell Jar, considered a biography with altered character names, was first published in 1963 under the pseudonym Victoria Lucas. The novel narrates the tumultuous years of Plath’s life, during which she experienced a profound depression that eventually led to her suicide in February 1963, a month after the novel's publication. Syliva Plath’s name was first printed on the novel in 1967, after which The Bell Jar was translated into numerous languages – excluding Arabic. Samah Jaafar, Sudanese writer and translator, published a number of literary translations and studies of Franz Kafka, Walter Benjamin and Jalaluddin Rumi. Mazin Mustafa, 31, is the Sudanese author of two published novels: The Phoenix of Embellished Praise, released by Sharkiat Publishing House in Cairo, 2012, and Al-Fata min Rojas Mat Qabl Ann Ya'refany (The Boy From Rojas Died Before He Got To Know Me), a dialogue between the novelist and late renowned Argentinean writer Ernesto Sabato.